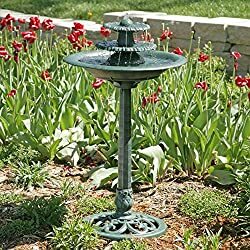 Backyard bird baths – do you REALLY need a bird bath in your yard? You have at least one bird feeder – isn’t that all they need? Do birds even need water? 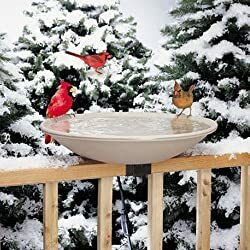 What is the best bird bath for attracting birds to your yard? 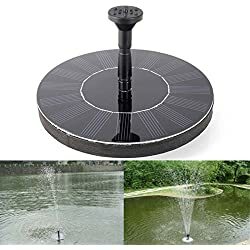 What type of water do birds need? 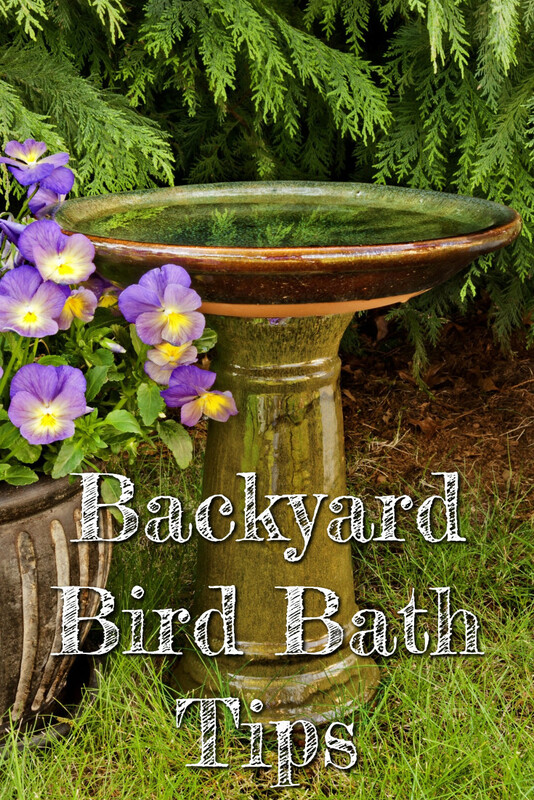 Let’s talk about all that in our Backyard Bird Bath Tips below. In a hurry? LOVE a deal? 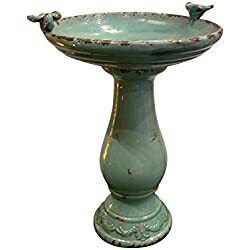 ✅ These backyard bird baths are on sale – some bird baths are HALF PRICE today! Do you have backyard bird feeders and ever wonder why you only have a few birds eating from them? 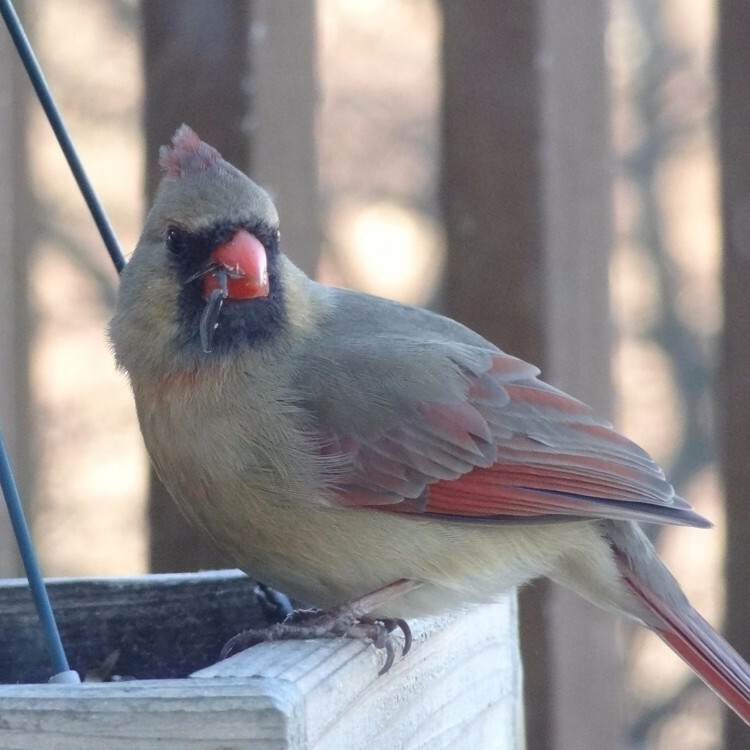 Or maybe you just want to attract cardinals to your yard or other bright-colored birds? 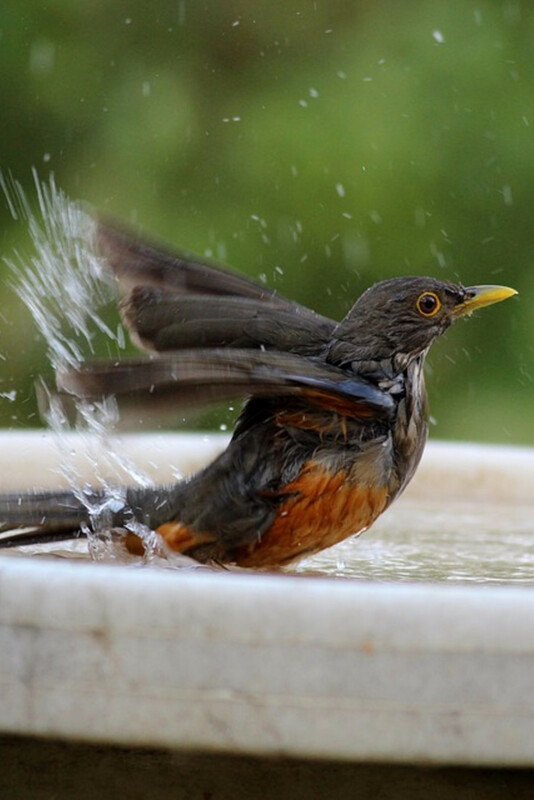 All birds obviously need water to drink and bath, and having water nearby helps bring them into your backyard. However, there are other reasons for having a good water source in your backyard to attract birds. First, there are many species of birds that don’t want anything to do with the seed you have in your wild bird feeders. These birds only eat insects. 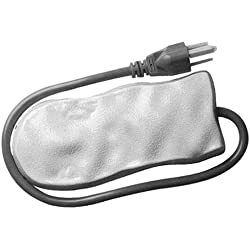 Now, you can buy and feed dehydrated insects called “Mealmorms“, but they are hard to find at a good price and birds can go through them rather quickly if you are not blending them with a seed you are using currently. 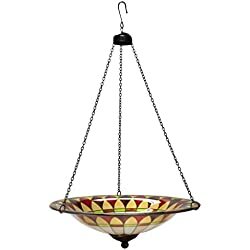 Also, special bird feeders know as platform bird feeders and fly through feeders work best if you do wish to feed these birds “Mealworms” without mixing them with a seed. A common bird that fits this example of insect eating and reason to have a water source in your backyard to attract them is the Blue Bird. I SO enjoy watching all the blue birds in my backyard! 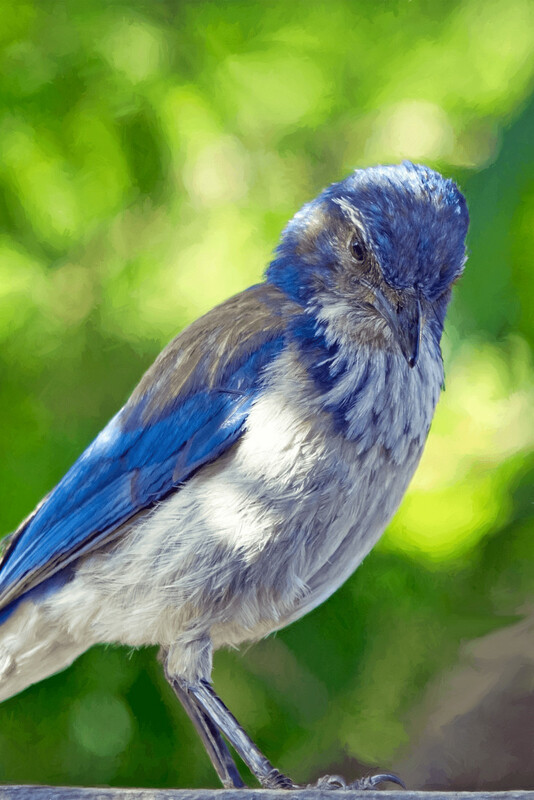 Blue birds love water… and they love mealworms. 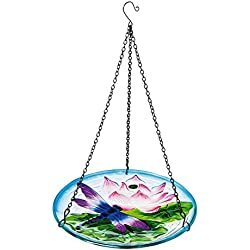 So, by simply having a water source such as a backyard bird bath and having a special mealworm bird feeder like this one, you will be able to attract more Blue Birds to your backyard, and will see more colorful birds visiting in the process. Summer can be very hard on birds and on some days all they will want is to drink and bath in the water around their area. 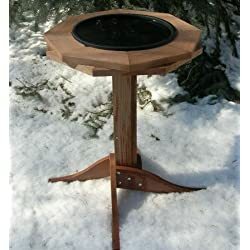 However, winter is also a good time to attract a lot of birds to your yard with a backyard bird bath that has water which is not frozen. 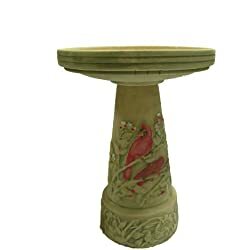 Now, simply having a bird bath in your yard will help attract different species of birds and more birds in general. In the summer, birds love when the water is fresh and cool for them. So by adding fresh water everyday or even a few ice cubes once or twice a day will keep the water more desirable for them to use. Another tip that some people don’t realize is that birds actually prefer moving water. 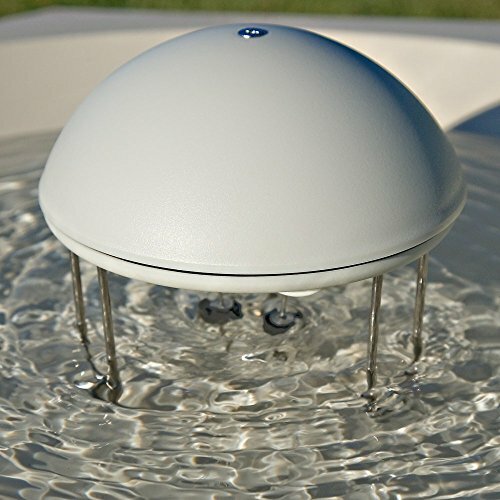 There are accessories such as “water ripplers” that can be place in a bird bath to make the water move or ripple. 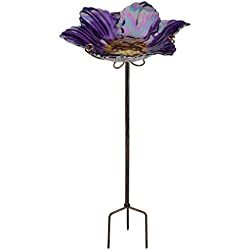 This attract birds to your backyard bird bath even more. 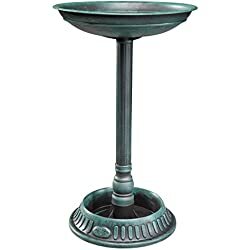 And, if you’ve ever wondered how to keep mosquitoes out of your backyard bird bath, this also helps keep insects (like mosquitoes) from infesting your bird bath. 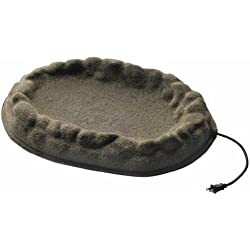 To go along with these accessories, for the winter time there are also bird bath heaters that can be added to a bird bath to keep it from freezing. However, baths with built in heaters can also be purchased to stop water from freezing as well. Having water available during freezing temperatures is a sure way to attract birds to your backyard in the winter. Finally, birds prefer water to be shallow and a bath that is not slippery. 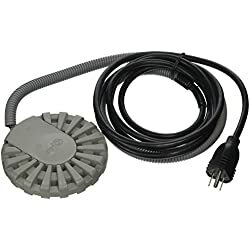 So if you have this problem, add small rocks to the bottom of your bird bath to help small birds use the bath when they need water. 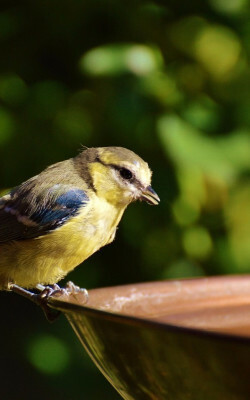 As a result, providing a water source such as a bird bath should help bring more birds into your backyard. You should also most likely notice some new species of them coming around as well. However, if you were to not see a huge increase in birds flocking to your backyard, remember the accessories that can be used to help. 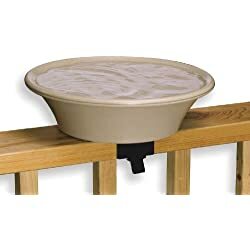 I know this works, because I have this backyard bird bath that is awesome. 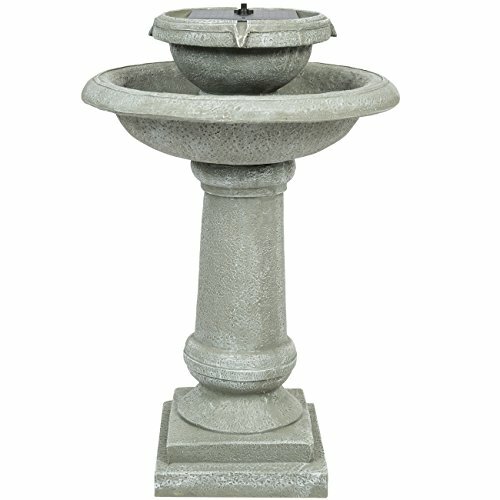 Its a 2- tier bird bath fountain… and the birds LOVE it! 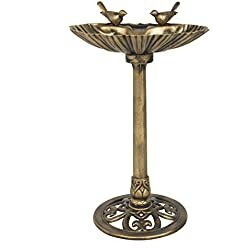 I also have a bird bath and bird feeders, and I get flocks of 30 to 50 birds at one time around my feeders and water sources several times a day. We have the best time soaking in our inflatable hot tub and watching the birds eat and play in the water!